When we first booked Morgan + Christian's wedding we weren't sure if we were going to be able to do an engagement session because they live in Texas and we only go out there 1-2 times a year, but they were determined to make something work (as were we!) so we scoured the travel schedule to see if there was anywhere we could do their photos near a major airport in a timeframe that worked for all of us! We eventually decided on Lake Tahoe area since our timing for Megan + Zach's Truckee wedding worked with their schedule and we didn't mind sticking around Tahoe for a few days. During our time exploring the area, we came across Donner Pass and were blown away by the beauty of it all. I knew it was the perfect place for their destination engagement photos! 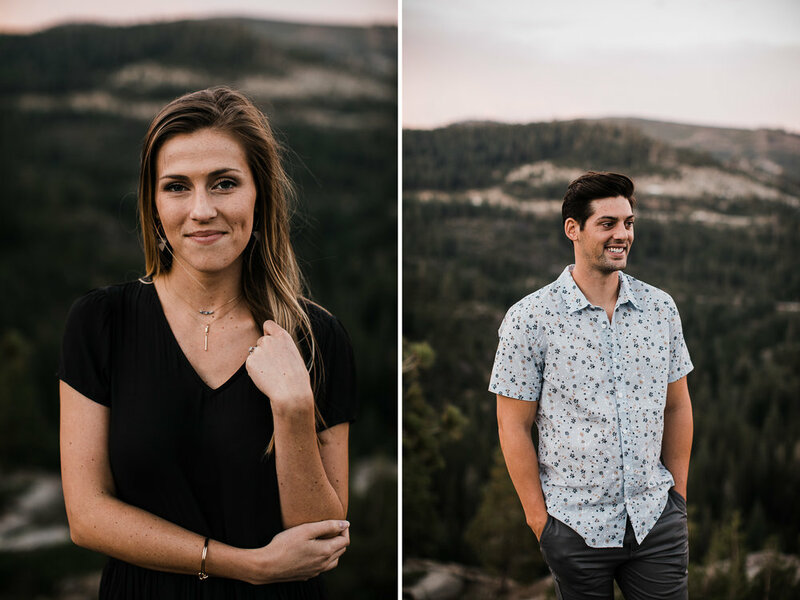 The day of their session, their flight was delayed in Phoenix and then the highway on the way to where we were meeting for dinner was closed, so it was honestly a miracle they made it on time (and looking amazing!). We got to know each other over beers at Donner Ski Ranch and headed down the pass for photos as the sun started going down. Despite the semi-stressful day leading up to their session, these two had such a great time and were really fun to take photos of! We loved getting to know them throughout the engagement session and can't wait for their wedding this fall! 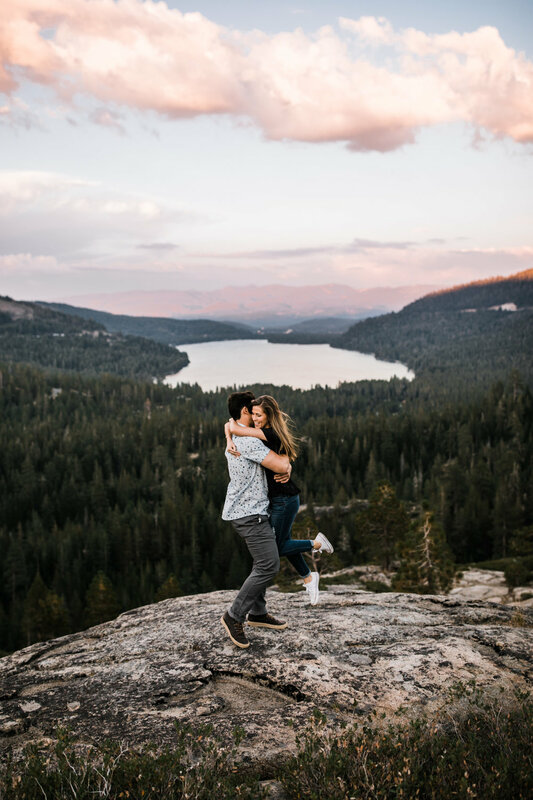 The day ended with a gorgeous sunset over Donner Lake and I am so excited about how beautifully their photos turned out.